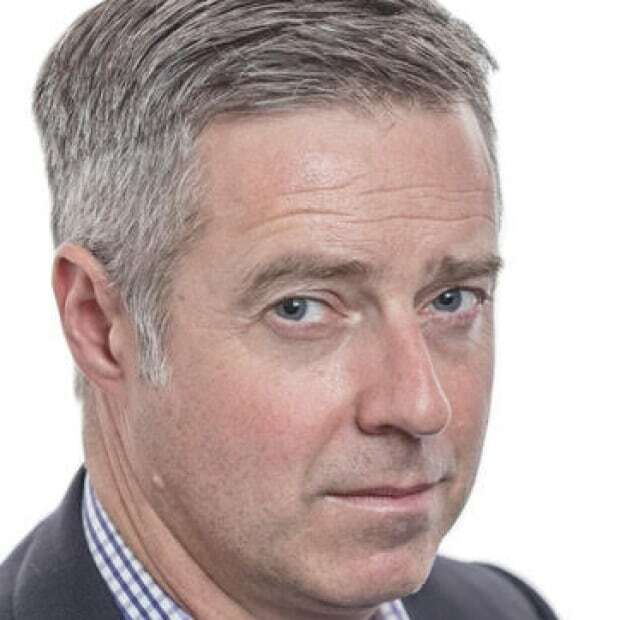 A closer look at the day's most notable stories with The National's Jonathon Gatehouse: Trump voices support for Saudi Arabia despite Khashoggi killing; too many Canadians aren't taking influenza seriously; preparing for Crown Prince Naruhito's official ascension to Japan's imperial throne. The White House issued a statement that it is standing by Saudi Arabia a day after a Turkish website released transcripts purported to be from a recording of dissident journalist Jamal Khashoggi's killing. Too many Canadians still aren't taking influenza seriously, despite the thousands of hospitalizations and deaths each year from flu across the country. Preparations in Japan are well underway for Crown Prince Naruhito's official ascension to the imperial throne on May 1, but there are lingering questions surrounding his daughter;s future. 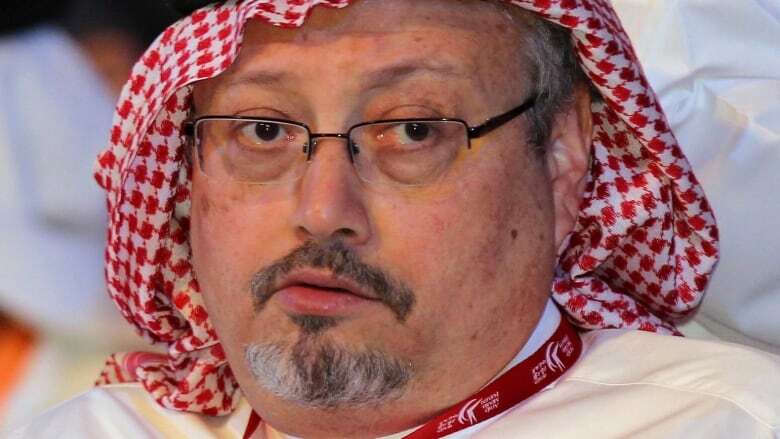 A Turkish news website has published extracts from audio recordings that purportedly capture the final minutes and violent death of dissident journalist Jamal Khashoggi inside Saudi Arabia's Istanbul consulate last month. The transcripts, released last night by the website Habertürk, claim to detail what happened once the outspoken 59-year-old critic of the Saudi royal family arrived for an appointment to fill out paperwork for his impending marriage to his Turkish fiancée. "Release my arm! What do you think you are doing?" 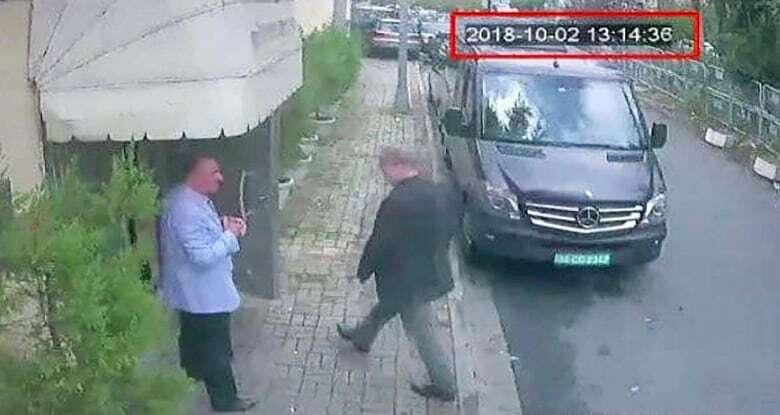 Khashoggi says in the first tape, recorded shortly after he entered the main consulate building on the afternoon of Oct. 2. A verbal quarrel between the writer and at least four other men — presumed to be members of a Saudi hit squad — then continues for seven minutes. The second recording, said to have been captured inside an adjoining administration building, begins with four minutes of shouting, screaming and the sound of violent blows. "Traitor! You will be brought to account," vows one voice, identified by Habertürk as being Maher Abdulaziz Mutreb, a bodyguard to Saudi Crown Prince Mohammed bin Salman. The torture goes on for another 11 minutes, before the recording goes silent for an hour and 15 minutes — a period during which Turkish officials say the Saudis used frequency jammers to foil eavesdropping. Then there are the sounds of what is alleged to be the hit squad deleting security camera footage and removing the hard disks. Finally, a man identified as Mustafa al-Modaini by the website says, "it is spooky to wear the clothes of a man whom we killed 20 minutes ago." He then complains that Khashoggi's shoes are too small for his feet. 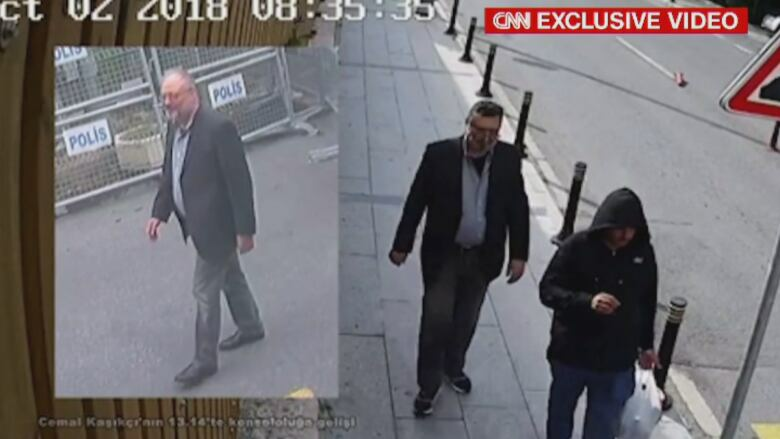 Turkish authorities allege that he is the man later seen leaving the rear of the building in a fake beard and dressed in the journalist's clothes. The website also refers to recordings of 19 phone calls made that afternoon from the consul's office, including four conversations involving Mutreb and Saud al-Qahtani, a close advisor to the Crown Prince, who has been removed from his job as part of the Kingdom's probe into the killing. 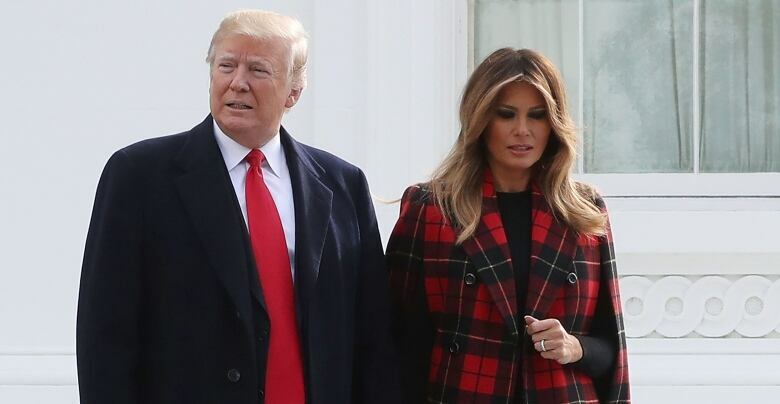 This past weekend, U.S. President Donald Trump said he had been briefed about the content of the audio recordings that the Turkish government has been sharing with intelligence services around the globe, but added that he had chosen not to listen to them. "It's a suffering tape. It's a terrible tape," Trump said in an interview with Fox News. "It's very violent, very vicious and terrible." But it now seems evident that he doesn't intend to do anything about it. The White House issued a new statement this afternoon that it is "standing with Saudi Arabia." "The world is a dangerous place," it begins, going on to talk about the threat of Iran, Saudi Arabia's desire to have its military leave Yemen, and the Kingdom's promise to invest $450 billion US in the United States, including billions in arms purchases. Any change in that economic relationship would be a "wonderful gift" to China and Russia, says Trump. When it comes to the "terrible" killing of Jamal Khashoggi, the White House statement says that "we may never know all of the facts," and regardless, the United States "intends to remain a steadfast partner of Saudi Arabia to ensure the interests of our country, Israel and all other partners in the region." The statement, which comes on the day Trump was scheduled to receive a briefing on the Central Intelligence Agency's findings about the Khashoggi killing — reportedly a firm conclusion that the Crown Prince ordered the hit — is sure to further fuel claims that the U.S. is engaged in some sort of cover-up effort to protect the heir to the Saudi throne. Middle East Eye, a London-based news outlet, published a report today claiming that the Saudi royals are simply following a "roadmap" devised by their allies in Washington. The plan was hand-delivered by U.S. Secretary of State Mike Pompeo during a sit down with Saudi King Salman and the Crown Prince in Riyadh last month, says the report. It adds that the plan includes an as-yet-unused option — to pin the blame on a more junior member of the ruling al-Saud family, should the pressure to act become too intense. The U.S. State Department says the article is a "complete misrepresentation" of what happened during Pompeo's trip. For their part, the Saudis appear confident enough to again go on the offensive against their critics. Yesterday, in his first public remarks since Khashoggi's death, King Salman heaped praise on his judiciary, although he did not actually mention the killing or the ensuing investigation that has seen 21 people arrested and 11 charged. And today, Saudi Foreign Minister Adel al-Jubeir issued a pointed warning to those who want to keep pushing the matter. "The leadership of the kingdom of Saudi Arabia, represented by the king and the crown prince, is a red line, and we will not permit attempts to harm or undermine them," he said in an interview with the government-owned Asharq Al-Awsat newspaper. 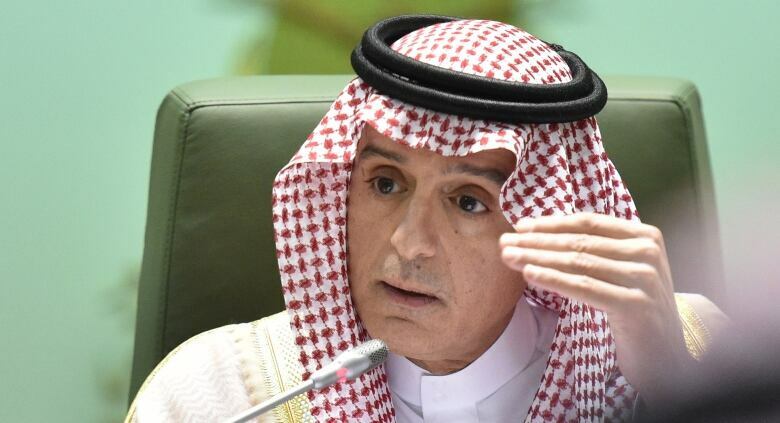 "The Kingdom has taken all necessary measures to achieve justice and hold accountable all those involved in the killing of Saudi citizen Jamal Khashoggi," al-Jubeir added, noting that the Crown Prince himself has been intimately involved in efforts to ensure that "such crimes will not occur in the future." Too many Canadians still aren't taking influenza seriously, writes producer Perlita Stroh. The influenza virus killed 3,500 people in Canada last year. It's estimated that more than 12,000 were hospitalized because of it. And still Canadians aren't getting the flu shot in high numbers. In fact, last year only 38 per cent of Canadians got inoculated against flu — far lower than the 80 per cent rate Health Canada would like to see. Some people say they don't get the flu shot because they feel sick afterwards. Some are afraid of needles. Others point to the fact that the vaccination isn't always successful at fighting the right influenza strain, or say they didn't realize how serious getting the flu can be. We'll also ask them to weigh in on some of the biggest news stories of the week, including the charges brought against students at Toronto's private school, St. Michael's College School, and the impact trauma has on health. Japan's next emperor has given his first gift to his soon-to-be-subjects, a 10-day public holiday. Crown Prince Naruhito will officially ascend to the imperial throne on May 1, the day after his father Emperor Akihito becomes the first Japanese monarch to abdicate in more than 200 years. Under legislation introduced last week in the Diet, the country's parliament, that day will become a public holiday. But because it falls in the midst of several other annual celebrations, like the birthday of the late Emperor Hirohito on April 29, it will trigger even more days off under a law that automatically bridges weekdays between official holidays. Thus, the country will essentially shut down starting on Saturday, April 27, through Children's Day on Monday, May 6. The Japanese will also get another day off on Oct. 22, the day of Naruhito's enthronement ceremony, for a total of 22 national holidays in the 2019 calendar year. At the beginning of May, he will inherit the royal regalia, including the crown jewels and sacred sword. Then comes the October enthronement and public celebration. Finally there is the Daijo-sai (Great Thanksgiving Festival) next November, where the new emperor will commune with the spirits of his divine ancestors, making offerings of sacred rice and sake. Many of the details have yet to be made public, but preparations are well under way. Over the summer, workers at the Kyoto Imperial Palace carefully dismantled the takamikura and michodai, the dual-dias thrones that Naruhito and Crown Princess Masako will use in one part of the accession ceremony. They're now busy putting the 1,500 pieces back together in Tokyo. What isn't being publicly discussed are the government's plans for Aiko, Princess Toshi, the only child of Naruhito and Masako. The laws of succession for Japan's royals currently prohibit women from inheriting the Chrysanthemum Throne. It's not clear if the Japanese government is willing to follow Britain's lead and update the rules for the 21st century. As per tradition, only male members of Japan's royal family will participate in the October enthronement ceremony — although there is some indication that female cabinet ministers might be allowed to observe. A proposal to allow for female-headed branches of the Imperial family won't be debated in the Diet until at least May. "A full analysis and consideration, as well as careful procedures, are needed to build a national consensus," Prime Minister Shinzo Abe said earlier this month. "Whatever the scope of the president's authority, he may not rewrite the immigration laws to impose a condition that Congress has expressly forbidden." 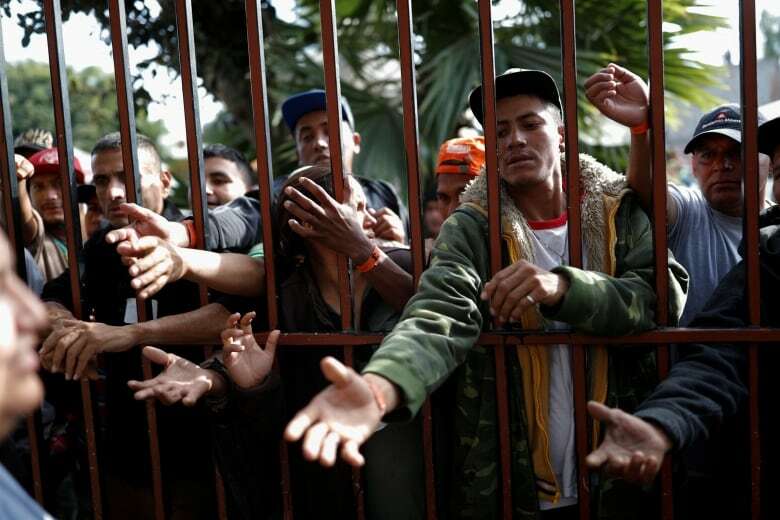 - U.S. District Judge Jon S. Tigar, ordering a temporary halt to Donald Trump's plan to stop migrants who cross the southern border illegally from making asylum claims. Five years after the Krever inquiry report into Canada's tainted blood scandal, the RCMP lays a total of 32 charges -- including criminal negligence causing bodily harm and endangering the public -- against the former director of the Red Cross collection program, two senior Health Canada bureaucrats and an American pharmaceutical executive. A team of 15 investigators and four Crown attorneys had interviewed victims and sifted through the mountains of evidence. But in the end, all four men were acquitted at trial, and the only conviction came when the Red Cross pleaded guilty to violating the federal Food and Drugs Act.